Please don't close the contest before deadline. I have one nice addition for my third entry. The usual tools and approach choke when dealing with (opening ) more than 27 images (e.g. HTTP connections opening) though I have created a nice solution with that limitation. I can post an entry yet I'll explore more (500 rows and potentially 500 images if each data entity has a different image, right?) and ask you to not close the contest for next 24 hours. Great stuff, look forward to seeing it. Do you also want the treemap to be responsive while resizing the browser? Or only on page load? Hi Mario - yes still open. It should be responsive while resizing browser too. The only small item that would also be good is if smaller items could be bundled under ''other' (i.e. everything with a percentage share < X% are grouped together in an 'other' treemap box and you can see the different items in there just as a list with percentages when hovering over it). I have some questions: 1- You said the treemap will update based on the table provided, but how do we know if there's children or parents? The table doens't provide that information. 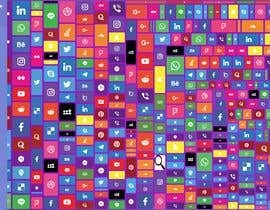 2- What is the treemap going to be about? It's important to know to design it properly. 3- Are you going to populate the Table manually or is there an API that we can get the data from? Hi Mario - no children or parents it will just be a 'one level' treemap. 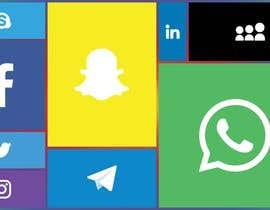 The treemap will be flexible - for purposes of design you can consider that it will be social media / messenging companies - the 'Total' used to calculate the size could be the total revenue. 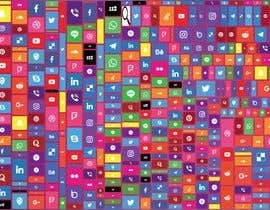 I would want the treemap to be made up of boxes with the logos of facebook, whatsapp etc in their middle and then the background colour is just so the box can be rectangular etc without distorting the logo. I've just added an example image to the contest. Table will be populated manually initially but I would like to have the option of linking it directly to a data source in the future. Great, I'll get to it and finish it very soon.